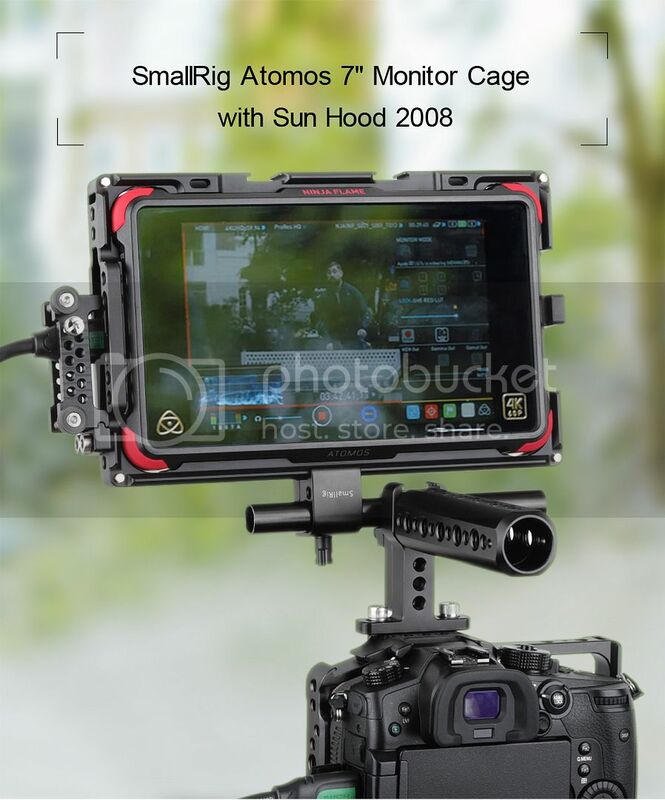 SmallRig Atomos 7 Monitor Cage with Sunhood 2008"
SmallRig Atomos 7" Monitor Cage with Sunhood 2008s specially designed for Atomos (Ninja flame, Shogun flame, Shogun Inferno, Ninja Inferno). 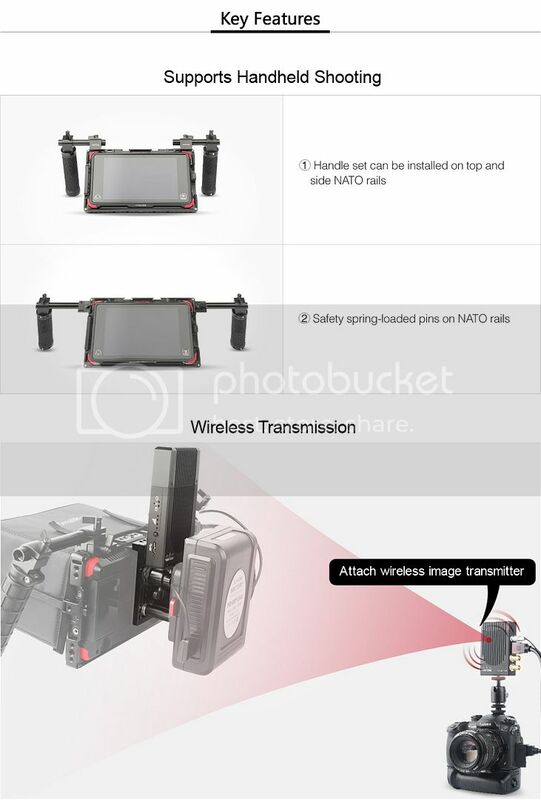 The monitor cage comes with 2 cold shoes on the top, which are compatible withrticulating Rosette Arm (7") 1497r wireless microphone receiver and wireless image transmitter. Exclusive sunhood ports are used to attach sunhood to shelter the monitor from sunlight. NATO rails on both sides are compatible with5mm Rod Clamp (Parallel) 1254,5mm Rod 1049ndubber Handle 1616or handheld shooting. 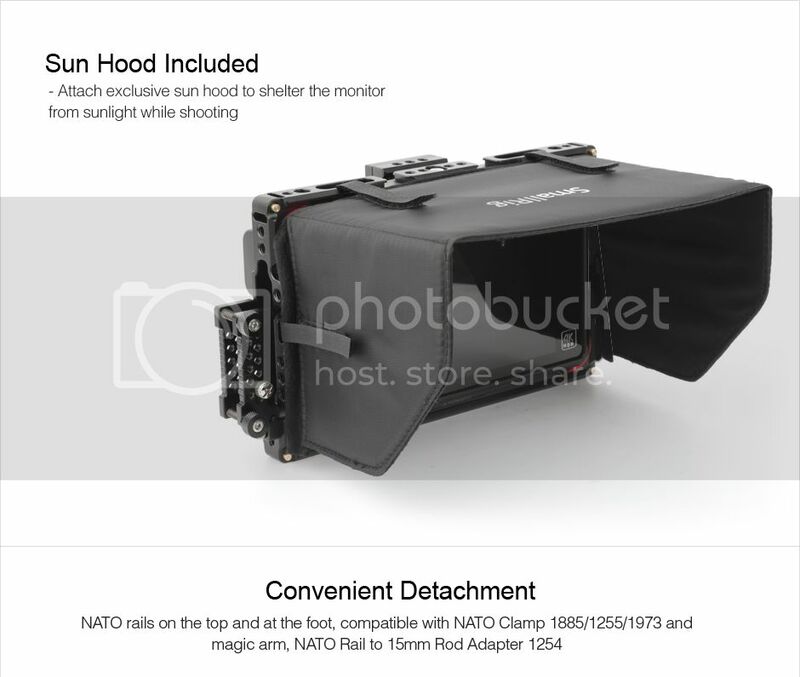 The monitor cage could attach batteries to provide enough power while shooting. To ease the worries of heat produced while attaching to the monitor, the back of cage could help the monitor to dissipate heat. It is also equipped with HDMI clamps to secure HDMI cable with screws, and 1/4" and 3/8" threaded holes are accessible to magic arms. 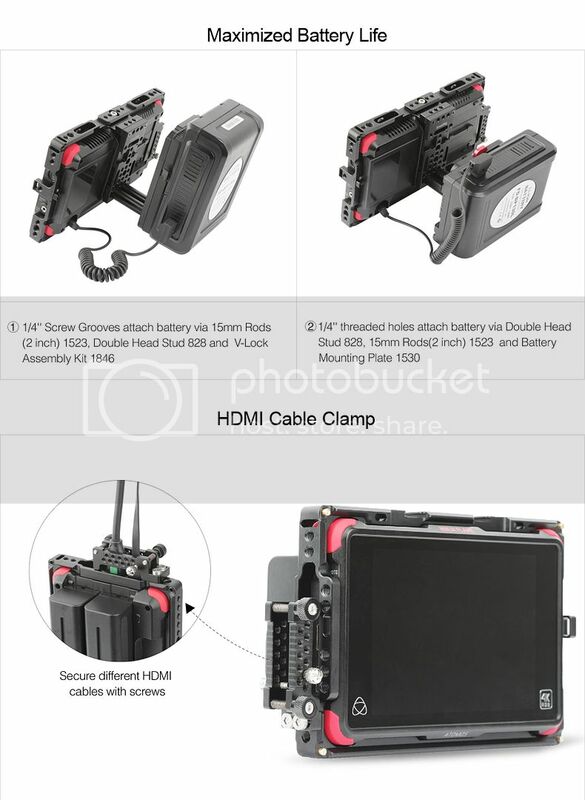 In addition, it includes SSD mount lock to prevent SSD from dropping in detachment. Furthermore, shoulder strap holes are designed for convenience.